ONCE EVERY GENERATION OR SO, AN ARTIST COMES ALONG that transcends the boundaries of whatever genre they have been placed in by the industry and creates music that is so far ahead of the work of all others. The Avett Brothers are that artist. Underneath the Americana umbrella, one that has been used in recent years to conveniently and tidily group together all types of artists that cross the boundaries of folk music, country, bluegrass, blues, rock and the various other genres which our wonderful country has given birth to, the Avetts have seamlessly married all of this roots-oriented music and successfully concocted their own immediately recognizable sound. 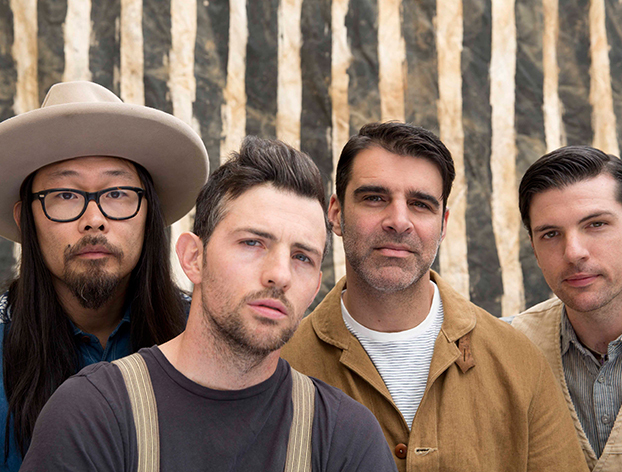 Over the period of a decade and a half or so, The Avett Brothers have released a steady stream of original music, each album going from strength to strength, producing modern classics, continuously evolving by integrating additional types of music and sonic qualities not used on earlier work by the band. After catching a phenomenal performance by The Avett Brothers at Okeechobee Music & Arts Festival’s inaugural event, Red Hot Rock Magazine was thrilled to have the opportunity to speak at length with the younger of the two Avetts, a man whose talent and energy is matched only by the creative chemistry achieved by working with his brother Scott. A decision was made for us to wait to conduct this interview with Seth Avett until after the band’s new album, True Sadness, was released. But as time would have it, it slipped away from us until we finally got around to setting this one up. Let’s get to it before more of that pesky stuff passes us by. 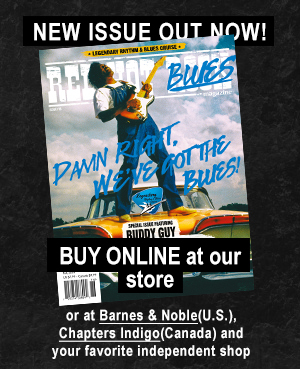 RED HOT ROCK MAGAZINE: Hey, Seth. How’s it going? SETH AVETT: Doing well. You doing alright, Ritchie? RHRM: Very, very good. Enjoying all of The Avett Brothers’ music and loving True Sadness. Thank you for all of the great music. SA: Oh, man. Thank you for saying so. Much appreciated. RHRM: So, in addition to The Avett Brothers gracing the cover of this issue of Red Hot Rock Magazine, we will be running some other nice Okeechobee Fest content. How was your experience at their inaugural event? I think they did a great job booking such a diverse array of artists. SA: Yeah. It was fantastic for us. It was awesome. It certainly seems like it’s got legs. It certainly seems like the attention was put to detail. And the lineup was obviously a hand-selected deal. So I think they really covered a lot of ground musically and artistically. We had a great time. And everyone that we saw seemed like they were having a good time as well. RHRM: I didn’t get to catch the jam later in the night. I was otherwise engaged. But I understand that you guys got up onstage with Mumford & Sons and some other artists. How did that go? SA: We got word not very far out from it, maybe a week before, a few days before, from Winston from Mumford & Sons that they were trying to put some kind of jam together and they wanted us to be involved if we could be. And Ritchie, I’ll be honest with you. I’m, like, the guy that doesn’t want to do any cameo, ha ha, or anything. I’m the most reluctant always because a lot of times you see these deals where at the end of the night, everybody gets together and goes up and plays and it’s just kind of a mess, you know. Ha ha ha. Or it’s not rehearsed… which can be good also. But I’m always kind of hesitant ‘cause we put so much time and effort into our set that it’s hard to make time to prepare for a collaboration. But we get word from Winston there trying to put it together and those guys are sweethearts. We’ve always got along very well with all of the guys in Mumford. And I think when we got there, we realized that Tom Morello was also going to be there. They were trying to work that out with us and him. That eventually was what happened. We got there, I think, the day of. I think that we did a rehearsal right before our set or right after. I can’t remember. I feel like it was right before our set. They had a little rehearsal stage and we went in. They were all there and a full-on rehearsal stage. I mean, amps and a PA and everything for a one-off. Which I thought was pretty great. But yeah, we ran the songs down a couple of times. We did “House Of The Rising Sun” and a Kinks song, I think. But yeah, we just ran the songs down maybe once, maybe one and a half times and it sounded awesome. It felt awesome. It was fun. So, we went for it that night. It was a lot of fun. It was good. It was everything a collaboration ought to be, especially for touring musicians. It was efficient, fun, we all got some good laughs and we were able to come together and present a couple of songs together and have fun with it. I think the audience liked it. But we definitely did. It was a good time. RHRM: Another event which you guys have your name plastered on and, I believe, is its first year and completely sold out, is The Avett Brothers At The Beach. That takes place in Mexico in February. It kind of feels as if this sojourn will be a little bit of a fish out of water kind of scenario for you guys, so to speak. I can imagine The Avett Brothers at many locations before thinking of the band performing on a beach. SA: Ha ha ha. Yeah. I don’t know. We’ll see. It might end of being the two tastes that go great together. I don’t know. For us, it was, like, you know, we saw some pictures of the place and it was, like, “Man, that looks like that would be a beautiful place to go.” So, as far as the show goes, I think it’ll be good. But, yeah, certainly I’ve never performed in quite so tropical an environment. But yeah, as soon as the tickets were on sale, it sounded like people were really fired up about it. So I think it’s gonna be a pretty good celebration down there. I’m looking forward to it. RHRM: I mean, I can see Zac Brown on a beach way before you guys. Ha ha. SA: Ha ha. Right. Yeah. We’ll be brooding and talking about the struggles of life down there in a paradise. That’ll be interesting. RHRM: Before I move into more specific subject matter, I need to state what The Avett Brothers music does to me and what it means personally to me. There is a difference between music that is simply enjoyable and transcendent music that grabs a person and oozes into one’s soul like all of the best music of the 1970s and moving backwards from there. You guys are head and heels above any other artist doing whatever type of music it is that is being attributed to you. 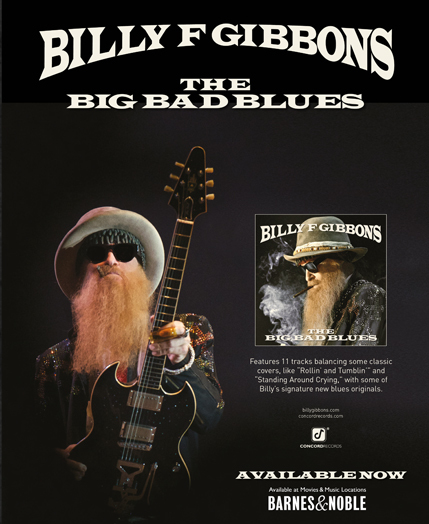 Peerless, classic songwriting, wonderful vocal harmonies and musicianship and emotionally moving performances. It is difficult to articulate what that “it” thing is. But whatever it is, The Avett Brothers have found a way to bottle more of it than almost anyone else out there today. SA: Rich, it’s amazing to hear, man. That’s not something to take for granted on my part and it’s not something to be ignored. I’m very aware that that kind of feeling that you have about this music, I’m very aware that that is our fuel. That’s really the way we’re able to continue doing it. And it’s very good for me to hear that people are getting it, you know, you getting it like you do and it meaning something to you. It means a lot to me. So, thank you for letting me know. RHRM: You are very welcome. Whereas a band like Mumford & Sons exploded in popularity pretty much out of the gate, even though I like their music, they often repeat themselves from a songwriting perspective whether they present their tunes acoustically or drape them in an electric setting. The Avetts go from strength to strength, album to album, gradually expanding yourselves stylistically, evolving as people with your music and growing your fan base outwards. It feels from the outside like a very organic process. That must be rewarding, having done this over a considerable span of time. SA: Yeah. It’s been an interesting journey so far. I guess we’re about fifteen years in and it certainly wasn’t in the plan, you know, in the early days, we didn’t think, we didn’t really think about where it might go or, aesthetically, where the songs might take us or, thematically, where the songs might take us. We certainly didn’t think about how large-scale the communication could be between us and an audience. That has all been thankfully very gradual as you mentioned, Ritchie. It has been a very gradual thing. And it has been a very organic, to my mind, slow sort of arc. But yeah, Scott and I have a great advantage in our brotherhood. We have a great advantage, really, because the music and the travel is all sort of almost, in some ways, kind of in the periphery of our brotherhood. The reality is that our kinship and our family experiences of growing up, me looking up to him and him valuing our friendship and our growth as family members, very luckily is at the nucleus of this project. The idea of growing artistically, the idea of making songs better or of putting in a real amount of work or an appropriate amount of work, never taking short cuts and never working or behaving in a way that’s not to the standard that we want it to be, it’s like we always have this built in construct where the other one is always pushing and making sure that the other brother is doing the best he can. And the reality is, it’s like that in life and then it just happens to be there when we make songs together, as well. But the reality is that if I wasn’t doing my job as a father or a husband, I would talk to Scott about it. And I believe he would do the same with me. And we would help each other kind of figure that out. So, when those kind of topics are on the table, the artistry sort of just falls under the same umbrella of that trust and that care that we have for each other’s happiness and each other’s livelihood and each other’s work. So, getting back to the question, mentioning that the albums have changed one to the next, and that, hopefully, we don’t necessarily repeat ourselves, I think that just comes from Scott and I pushing each other as songwriters and making sure that the other one is staying very honest in what they’re making. Because, we are changing. We are changing as people all of the time. So, if the songs are honest, then that’ll just follow suit. We don’t have to try to make the songs different. They will be different because we’re changing as people. RHRM: The relationship with your brother leads to my next question. As a fan, I find it rewarding that The Avett Brothers albums always state that the music is “written and performed by The Avett Brothers” and is not credited to individual members. It is nice to read liner notes from bands that seem harmonious and suppress their egos for the sake of the greater good or the health of the band. But I am still a little confused. You, Scott and Bob are listed as The Avett Brothers, but I often read that you and Scott write all of the songs. How does that actual dynamic work, especially for something like royalty calculations? Do you and Scott write the songs and then Bob comes in and works on the arrangements? I always find that interesting.